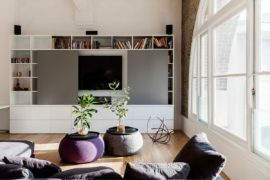 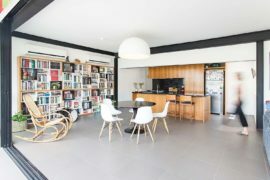 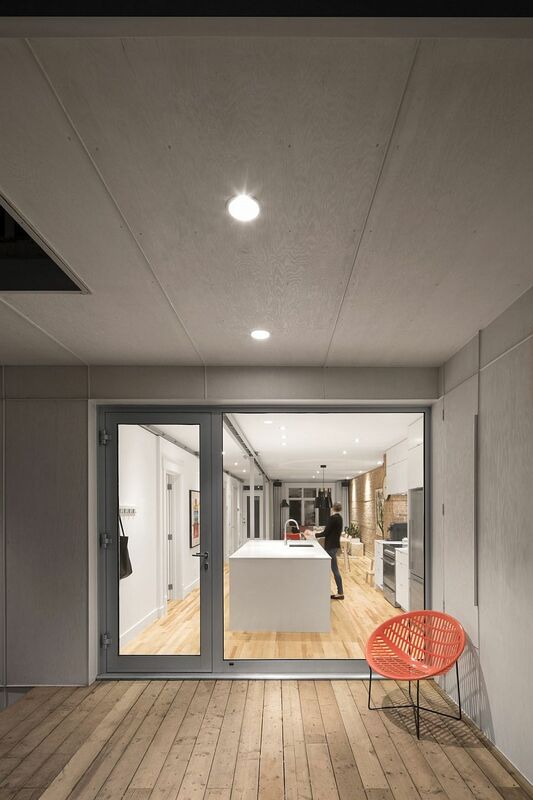 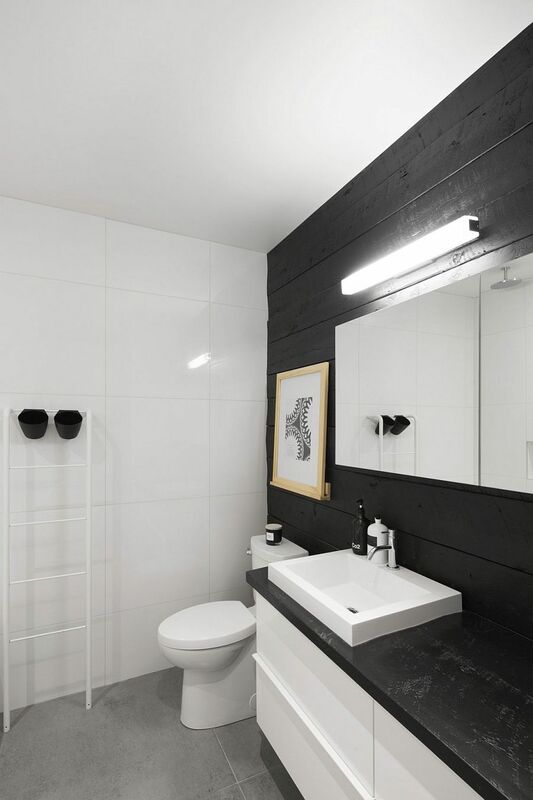 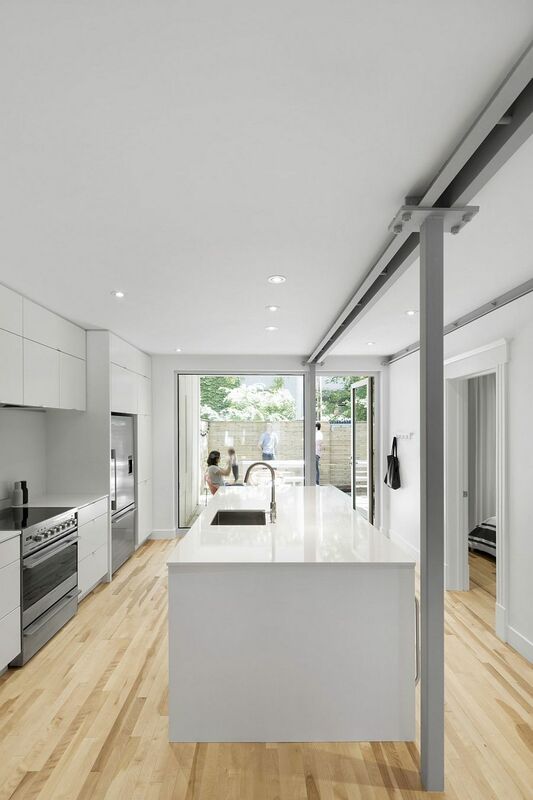 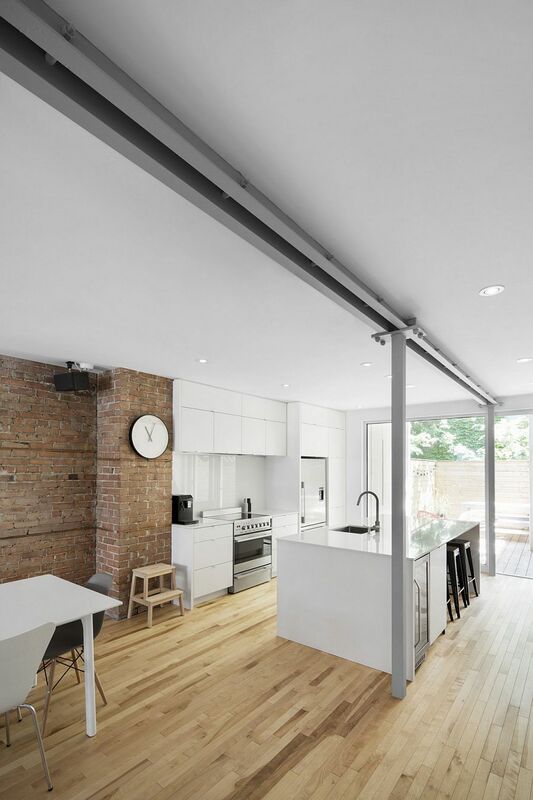 When a young family wanted to turn their ground floor apartment nestled in a building dating back to 1924 into a bright and beautiful modern home, they looked to Bourgeois Lechasseur Architects for help. 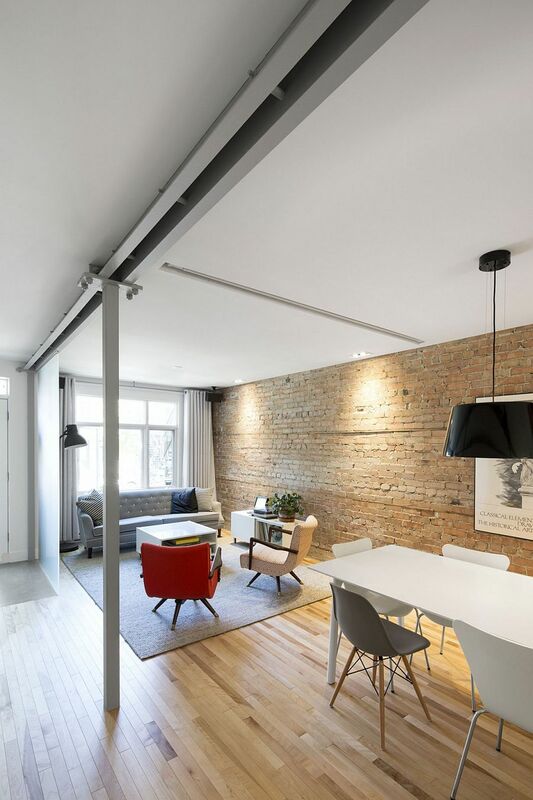 Nestled in the busy neighborhood of Montcalm, in Quebec City, the new interior is all about creating a contemporary interior that pays tribute to its historic past while seamlessly bringing together both elements. 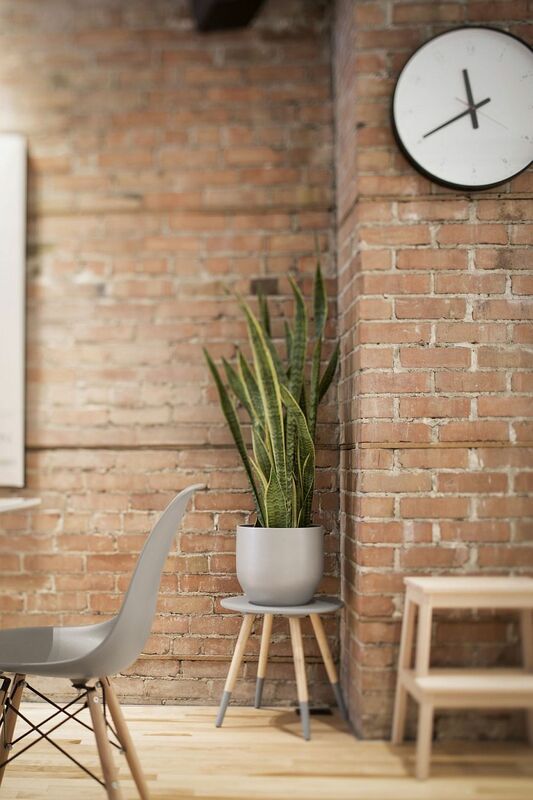 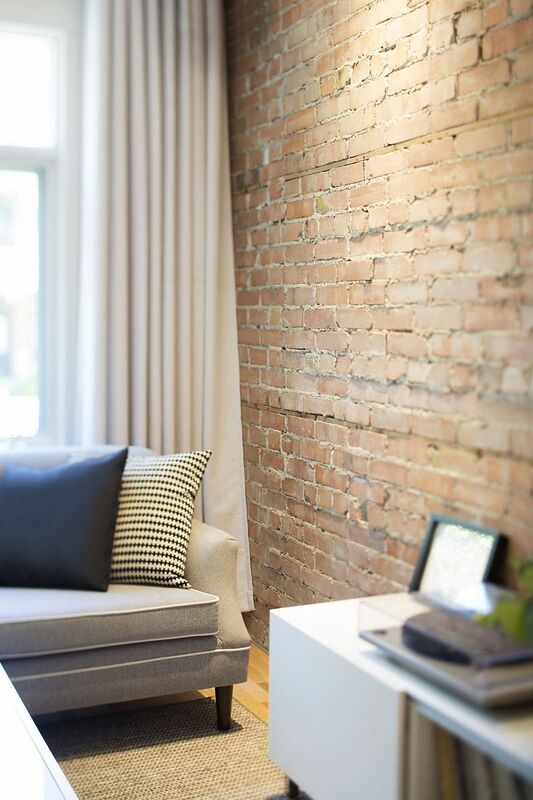 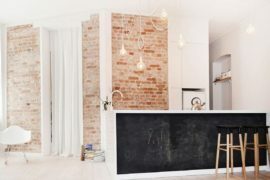 A lovely exposed brick wall in the living room does precisely this, as it proudly stands next to the contemporary, all-white kitchen and showcases a gorgeous blend of eras. 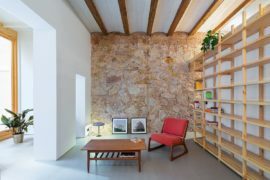 But the surprises at 867 De Bougainville do not end there, as many original architectural features of the building were carefully preserved, restored and interwoven into the more modern setting. 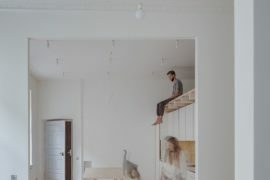 The lower level of the apartment contains the living areas, with the kitchen becoming the focal point of the new family area. 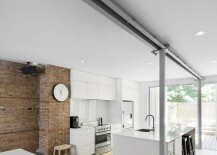 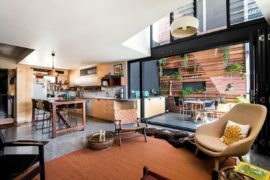 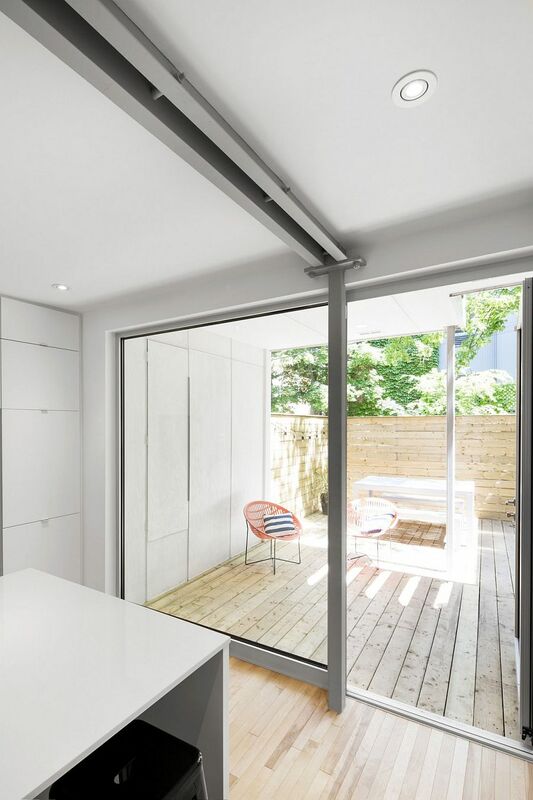 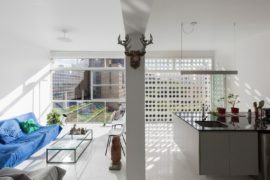 Connected with the small semi-enclosed inner yard just outside through large glass doors, the kitchen acts as a transitional point between the interior and the patio. 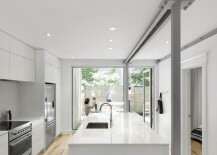 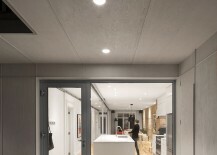 The use of glass doors also brings in a flood a natural light that transforms the interior completely. 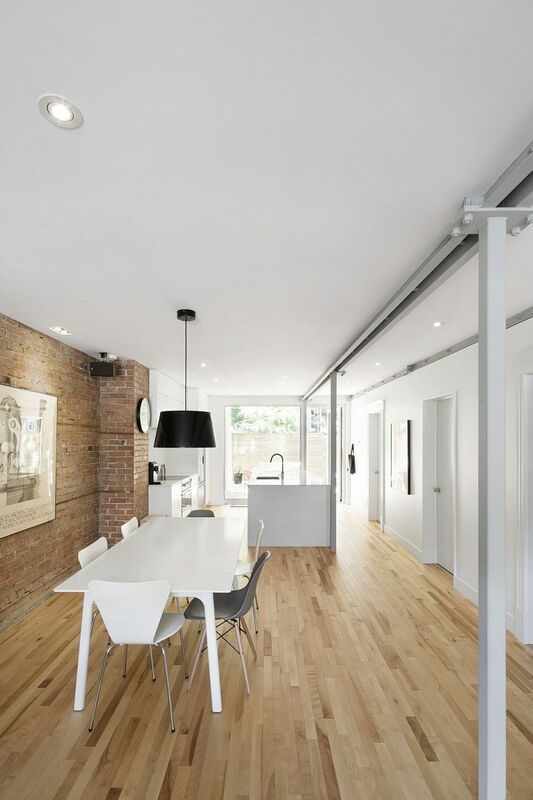 The use of natural materials plays an important role in shaping the overall ambiance inside this rejuvenated Canadian home. 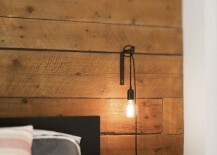 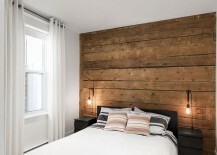 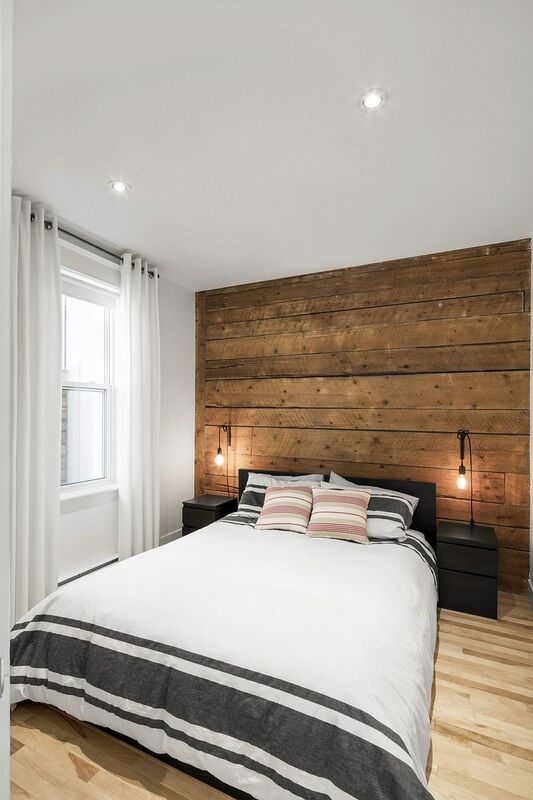 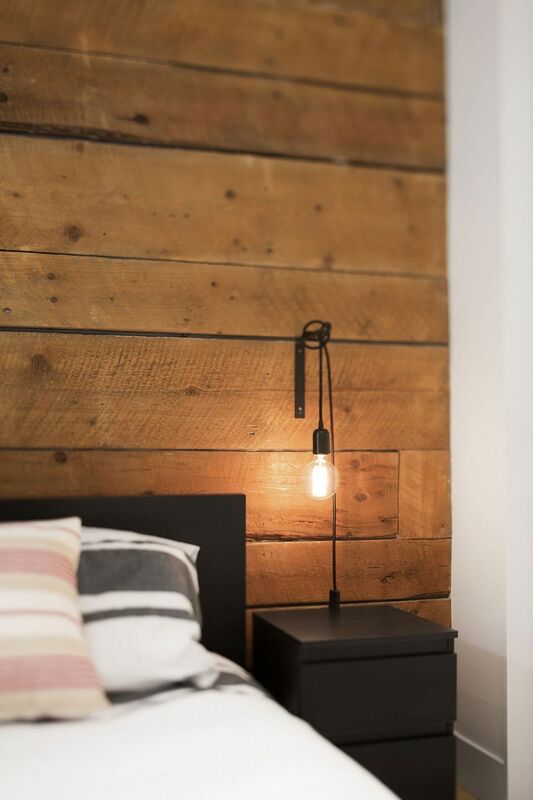 Natural birch flooring adds to the warmth of the interior, while an accent wall with wooden planks in the bedroom steals the show and gives it a serene vibe. 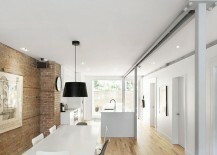 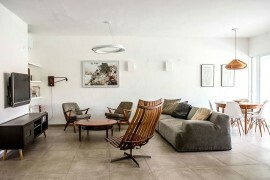 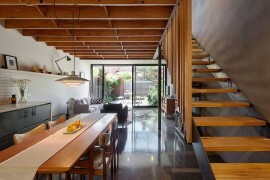 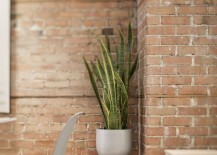 Creative, tranquil and tasteful, this is a makeover that fuses exquisite form with modern ergonomics.